stress relief. | there's no place like gnome. I’ve decided that I do not carry stress well. My hair is proof, though the humidity helped none today. It wasn’t pretty, folks. [Come on, autumn, and arrive already.] I see it in my hair, in my lack of any kind of facial expression, and feel it in my shoulders. The knots hurt. I had coffee with Banana Kay and met up with Banana Kim this afternoon before I make my move. The coffee date at the local coffee shop was made even more interesting by the presence of that one person I emailed in July, asking him to be my friend. I never told you but he eventually did respond. To reject my offer. *awkward turtle* I guess I am creepy. I wasn’t entirely sure it was him sitting behind me today but later discovered it was. We said nothing to each other; actually, I’m pretty sure he doesn’t even know who I am so it’s okay. My mom and I went out to supper with Grandma and Grandpa – we had a date with the Cozy Inn in Janesville. Guess what kind of cuisine the Cozy Inn serves. Seriously. Guess. Grandma and Grandpa have been going to the Cozy Inn for many years and wanted to make sure I had the experience before I moved. 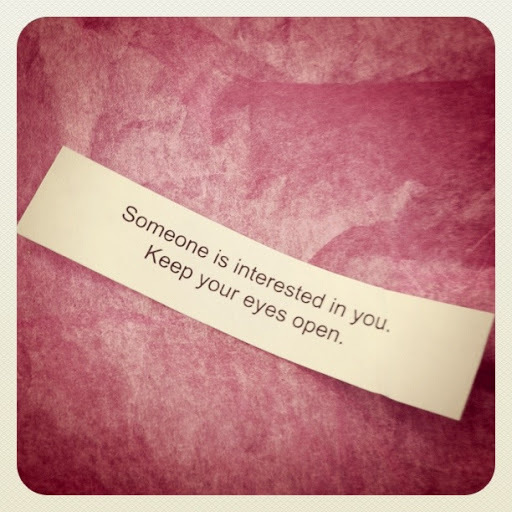 The food was great and I received an intriguing fortune. Okay, Cozy Inn, the longest-established-Chinese-restaurant-in-the-United-States-according-to-your-menu, I dare you to prove this fortune true. 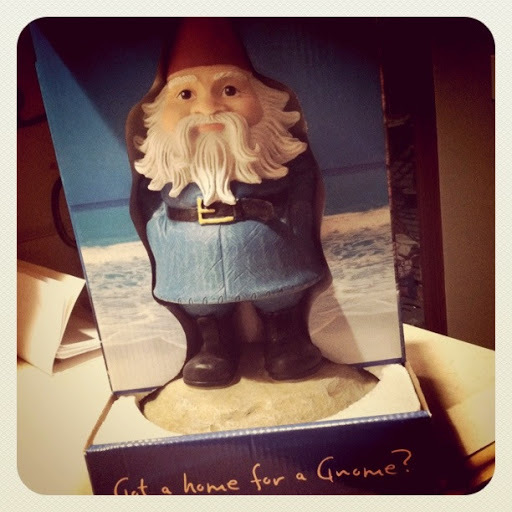 Got a home for a gnome? I always have a home for a gnome!